This Tropical Pineapple Pancake will make you feel like you're on your very own island getaway! Put together this DWB disguise with the kids in just a few minutes for a fun and tasty after school snack. Bring the breeze of the islands to your kitchen! First, microwave pancakes according to package instructions. While pancakes cool, slice the green apple into 6-9 wedges. 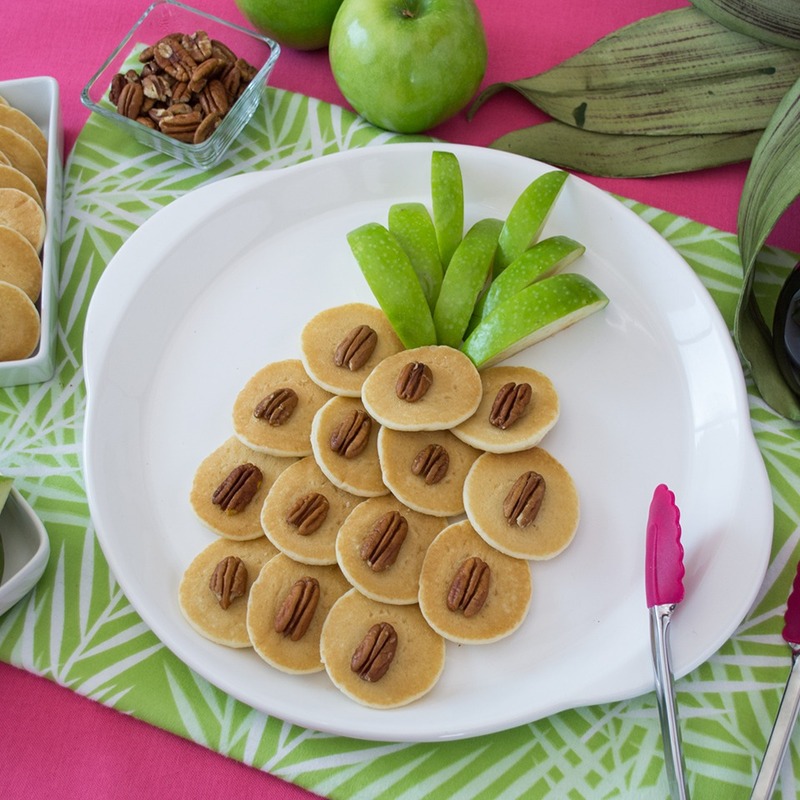 Assemble the pineapple shape with Mini Pancakes – 1 row of 3, 2 rows of 4, and another row of 3. Place a pecan on each pancake and assemble the apple slices at the top to complete your pancake creation. Before you dig in, be sure to snap a photo and share on social media using #DWBpancakes!